For players who signed up for our 4 bonus tackle sessions taking place at Wilson Park over the last 3 Wednesdays, we have an exciting and important event planned for the final session this Wednesday June 28 6:30pm - 8:30pm. Team Up Laurier and members of the Laurier Football team are bringing their new "Brains & Brawn" camp to Predators Football and will be in attendance to discuss concussion safety and awareness with the players and parents as well as run football drills and end the evening with a fun scrimmage. Team Up Laurier is a public outreach program that specializes in educating children, students, parents, and coaches about concussions, how to play safe and smart and what to do when you have a concussion. Waterloo Region Minor Football is dedicated to ensuring that all our players and coaches are educated on concussion awareness, prevention and return to play protocols. 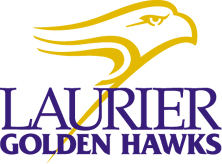 So we would like to thank Team Up Laurier and Laurier Football for offering to bring this important initiative to our association and making it a fun night for the players. The sponsor of this event is VOR Physiotherapy Waterloo (Vesitbular & Orthopaedic Rehabilitation) who are trained physiotherapists specializing in concussion treatment. They will also be on site on Wednesday to answer all questions parents might have about concussions and sports related injuries for children in football. Don't be shy to approach them, they want to answer all your questions and concerns! Optional donations are welcome and 100% of the proceeds will go to the Concussion Legacy Foundation to support concussion research and education. See you at the field on Wednesday!